Contributions were the main focus of the final day. First timers are encouraged to give it a go and get up to speed with the community tools, the issue queues, the various communication channels and setting up Drupal locally. If you haven't contributed before, then there are many mentors at hand to help set up and get you excited to tackle real issues which will allow you to contribute back to the community. Typically, dedicated contribution days at this conference are held on Mondays and Fridays. There were also, however, contribution rooms open the entire week and is a great place for all to sit down, catch up or get to know the faces behind the contrib modules we know and use every day. - Tackle module or theme development issues in contrib and core. - Improve the documentation on drupal.org. - Mentoring others to get started. - Write blog posts, mention case studies and give talks. - Take and share photographs. - Go to conferences/camps and spread the word about Drupal! 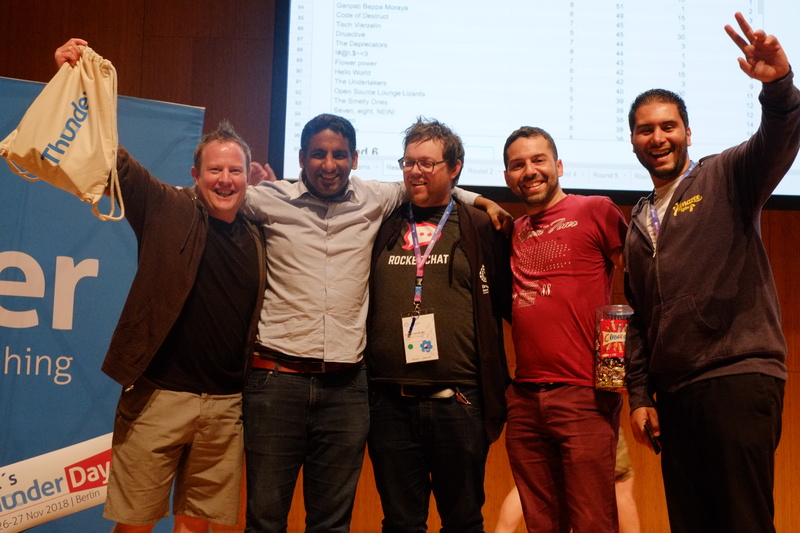 Drupal boasts one of the largest and most diverse communities of any open source project. Coupled with the fact that it has a great contribution culture that supports and values all contribution. Over its entire lifespan, Drupal has become a leading platform for CMS innovation and the strength of its contribution community is the core reason for its success and will also inspire its growth in many years to come. Finally... Congratulations to a few Amazee’s for winning the trivia last night.